Don't be stuffy. Be proud and puffy! 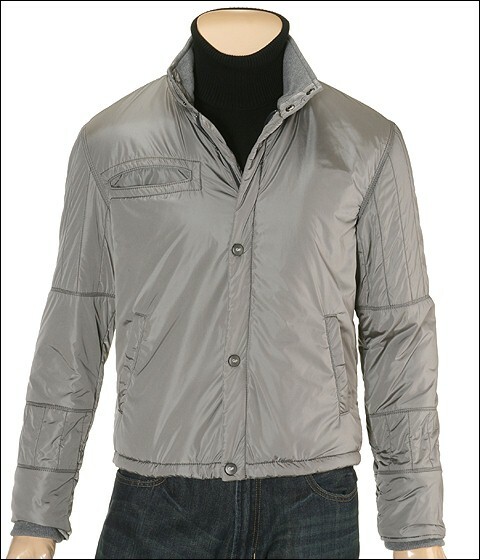 Get hip and take the tip to be stylishly slick wearing this puffy jacket by Ferre Jeans. Zipper and GF etched snap button front. Long sleeves with detailed stitching decoration. 36 sleeve length. Side pockets. Outside: 99% nylon and 1% polyurethane. Final touches and lining: 100% cotton. Padding: 100% polyester. Machine wash cold and line dry. Imported.